Athletes all over Miami are practicing and training to make this season their best yet. While hitting the gym or practice field are common places to hone your skill, there’s one critical area that’s often overlooked – your vision. 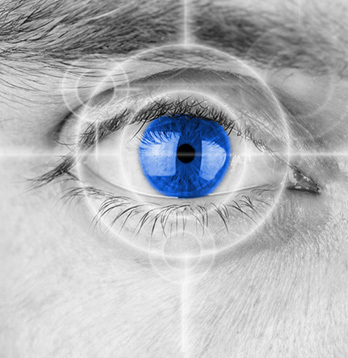 Eighty percent of all sensory information used to decide on a motor response comes in through our eyes. In fact, our eyes are actually an extension of our brains. On every play in every sport there needs to be: Vision –> Cognition –> Action. We are the only optometry-directed sports vision training program in Miami. With backgrounds in optometry, vision science, kinesioloy and psychology, we know vision and how it relates to the mind and body. 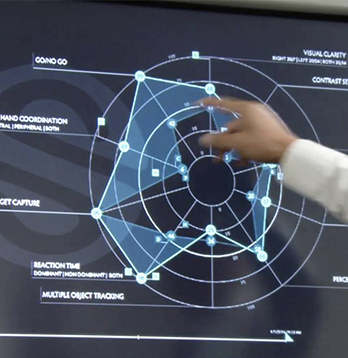 We use the latest technology to evaluate your visual skills and determine strengths and weaknesses in your game. Your visual and cognitive skills are compared to the pros to see where you measure up in multiple sport-specific areas. Improve your skills with sport-specific training designed to make you a better athlete. On every play, in every sport, your visual system initiates your movement and reaction. We can help train the eyes and the brain to react faster and better.